In my brief trip to Montana in May 2018, I had the opportunity to visit several iconic places that had undergone changes since my field visit earlier in the decade. 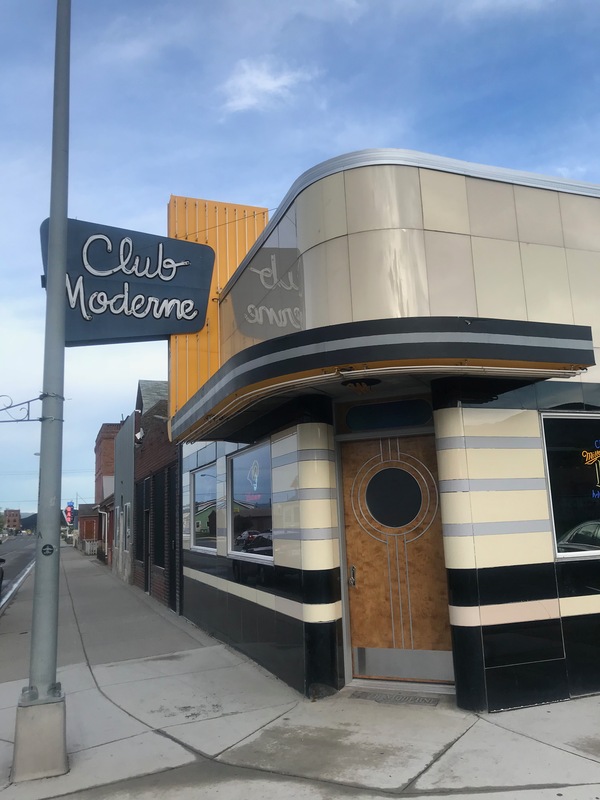 One such place was Anaconda’s Club Moderne, one of Montana’s most outstanding Art Moderne-styled landmarks of the 1930s. The tavern had caught fire in 2016 and at first everyone thought all was lost. But the owners and the community responded quickly, the Club reopened in 2017, as I reported in a blog in late 2017. To my eye, the place certainly looked the same from the exterior, with the new paint job even sprucing up the colorful sign, which had been an early historic replacement of the original more austere lettering. The interior had naturally changed the most since the fire caught into the roof and had burned out the roof, taking quite a bit of the original decorative material, but surprisingly enough was left to tell me that I was still in the old bar. 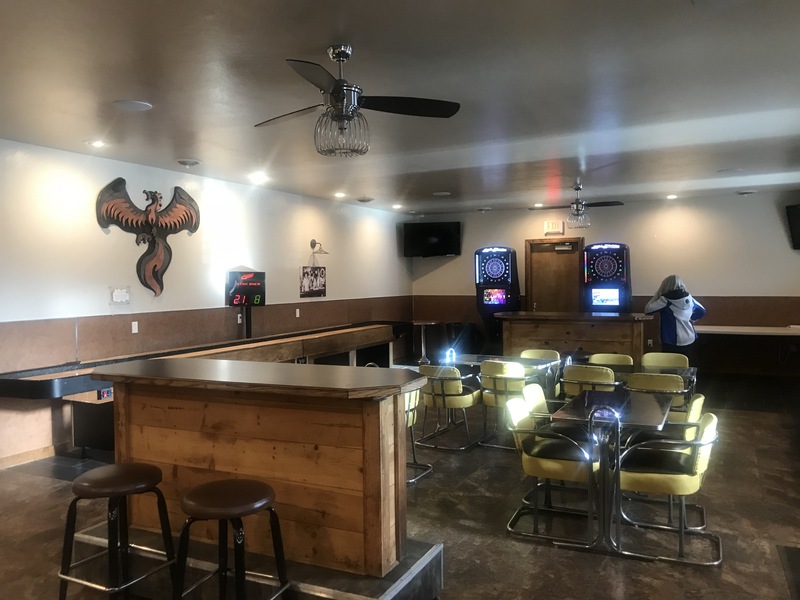 I really thought the restoration of the lounge had succeeded–the large open space with its distinctive bar remained, but again some modernization had taken place, with the touch of the phoenix rising along one interior wall being most appropriate. 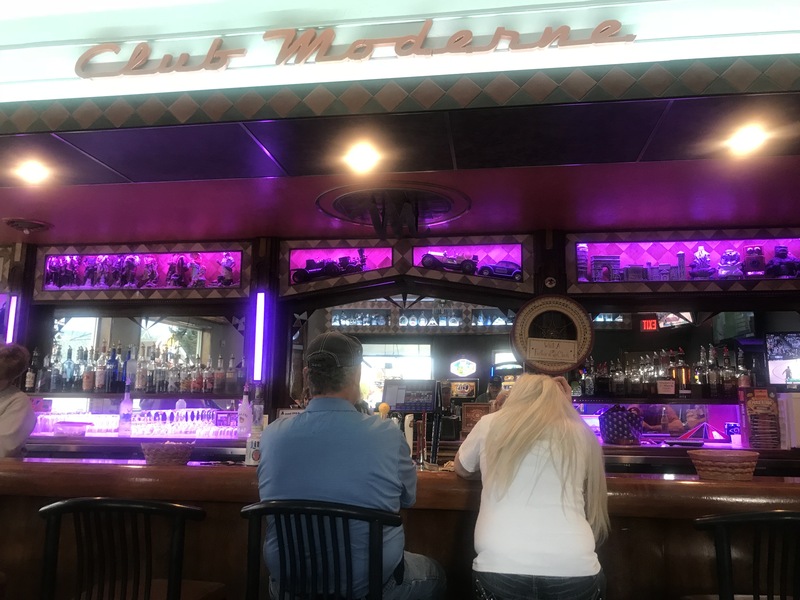 My conclusion: the Club Moderne is still a very valuable historic landmark, and the restoration undertaken by the owners and supported by the community is impressive. 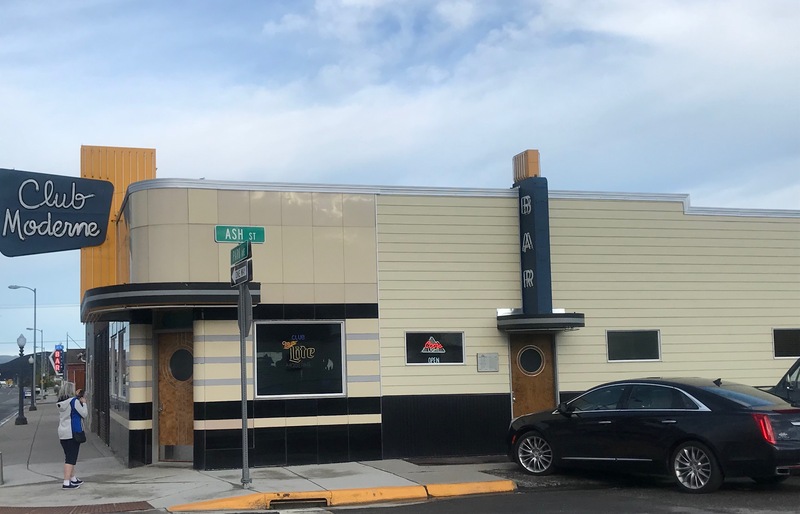 What is striking to me as well is that two neighboring communities, Deer Lodge to the north and Anaconda, had both in this decade rescued historic community landmarks, Deer Lodge with its Rialto Theatre and Anaconda with the Club Moderne. Historic Preservation is alive and doing well in southwestern Montana. 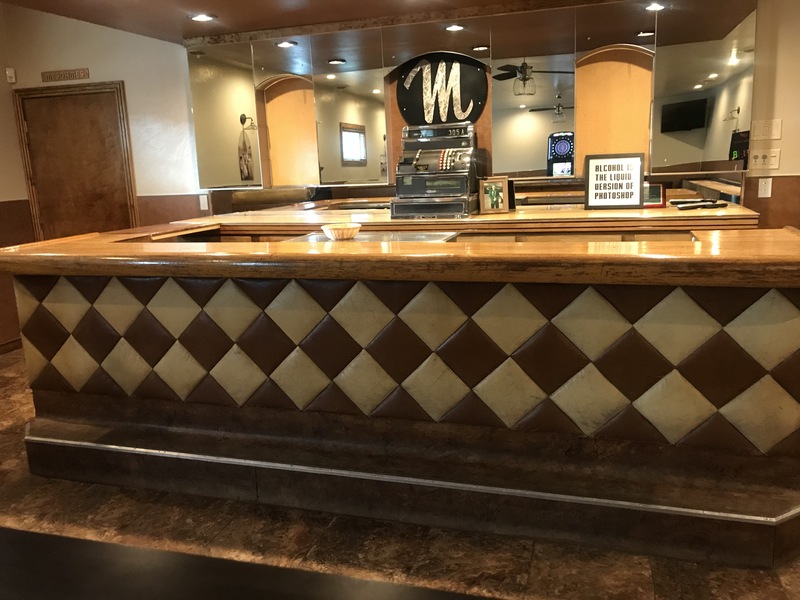 This entry was posted in Montana historical landscape, Uncategorized and tagged Anaconda Montana, Deer Lodge County Montana, Montana Art Moderne, Montana historic bars, Montana historic press, Montana modernism, Pintler Scenic Route by carrollvanwest. Bookmark the permalink.